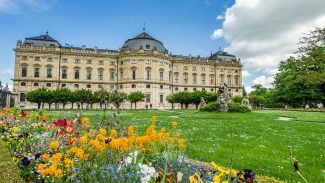 Wurzburg exists in the heart of Germany’s Franken wine region. St. Kilian Cathedral (aka Wurzburg Cathedral) was rebuilt after the war, and contains prime examples of Tilman Riemenschneider’s statues. Rudy also explores some of the local wines and cuisine at one of Wurzburg’s yearly festivals.